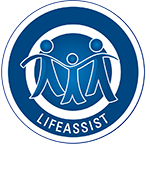 The LifeAssist Workplace Absenteeism Management (WAM) division is a centre of excellence that provides a ‘one stop’, comprehensive risk management service to organisations. LifeAssist WAM offers focused workplace absence (attendance) management. This programme addresses the issue of sick absenteeism from a holistic perspective and involves all role players, namely; the company, employee, healthcare provider, disability insurance provider and (where applicable) the onsite clinic. Your organisation will benefit from being able to understanding the true costs of absenteeism and the corresponding impact on profitability. The WAM programme is designed to monitor and report on the key aspects relevant to sick absenteeism as well as to offer focused intervention to those employees who are regularly taking sick leave or who are booked off work for long periods on account of illness. The result is not only feedback on absenteeism statistics, but also on real issues facing the organisation, which need to be addressed through secondary interventions to reduce high levels of absenteeism. A key success factor is the participation of managers. To equip managers to interact constructively with the Work Absenteeism Management Programme, we provide training and ongoing consultation. Research conducted on absenteeism in South Africa confirms that it is reaching staggeringly high levels, and could be costing the country's economy as much as R12 billion per year. Through LifeAssist’s innovative approach, we will improve the wellbeing of your employees and reduce the health-related costs of your organisation.